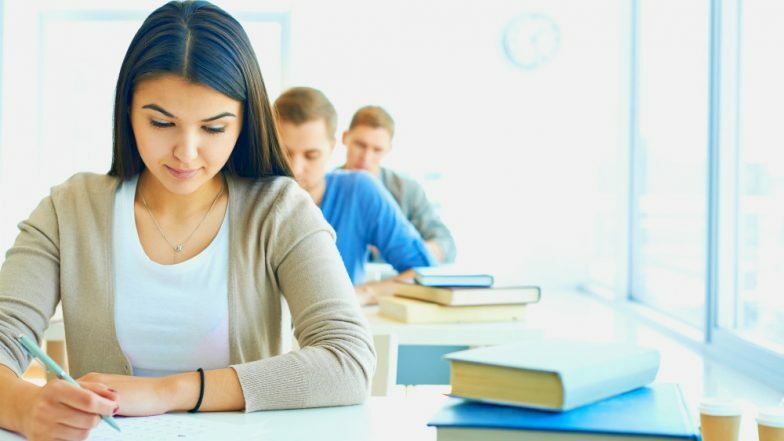 The National Testing Agency (NTA) has published the Joint Entrance Examination (JEE) Main admit card 2019. All the candidates who are applying for the JEE Main 2019 examination will be able to download the hall tickets from the official website; jeemain.nic.in. JEE Main 2, April session will be held from April 7 to 12, 2019 at various exam centres across the nation. The call letter is an essential document for candidates who will appear in the entrance exam. It shall be noted that with the JEE Main 2019 admit card, students will not be allowed to appear in the April second session exam. NTA has recently revised the JEE Main 2019 April examinations due to its earlier dates being clashed with the Lok Sabha elections. All the engineering aspirants will be able to check all the details such as exam date, time and venue on their JEE Main 2019 admit card. On the day of the entrance exam, candidates should not carry anything except the admit card issued by NTA and Geometry box if appearing for Paper 2. From this year onwards, JEE Main 2019 will be conducted by the newly built NTA in a complete online and computer-based mode. As per the new schedule, the entrance exam will be held in two shifts each day. The first shift will begin from 9:30 am to 12:30 pm and the second shift will start from 2:30 pm and 5:30 pm. Meanwhile, IIT Roorkee has also rescheduled the JEE Advanced exam 2019 dates because of the General Elections, according to which the examination will now be conducted on May 27.